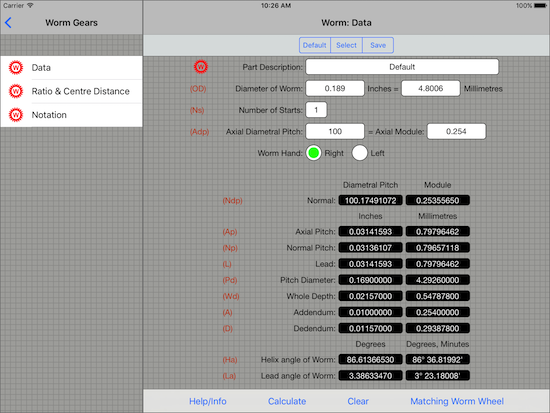 Gear Lab is a collection of gear data calculators in the form of either an iPad or iPhone app that can be used with Worm gears, Helical gears and Spur gears. 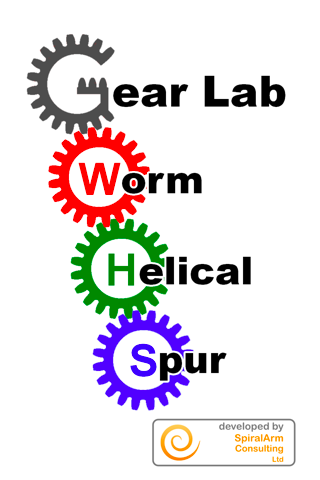 Gear Lab has been developed by SpiralArm Consulting Limited and Gear Services (Letchworth) Limited to help in the manufacture of the Worm and Wheel gear sets, Spur gears, Pinions and Helical gears available via the Ultrascale web site. However, it can be used for the same type of gears from other sources. The calculators have been developed to help in the Setting up, Production and Checking of the gears available via the Ultrascale web site. Three of the main types of gears are covered, these are Worm gears, Helical gears, and Spur gears. 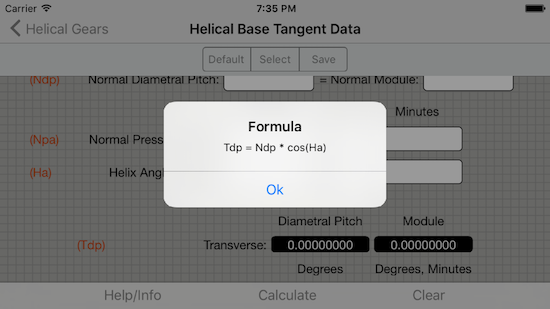 The flow of the app has been setup in such a way as to allow for the calculators to be used on a individual basis, using the minimal of information to output the basic data required, or as a complete process flow from start to finish. 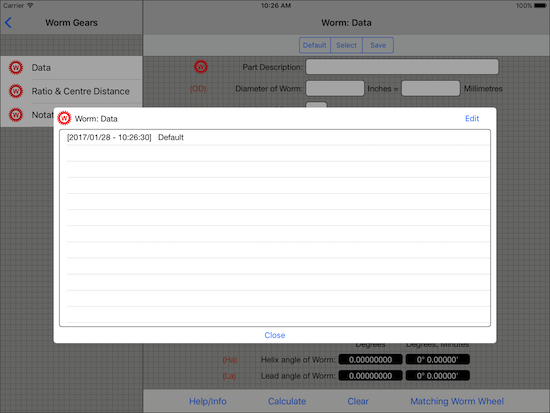 For example , starting at the worm then creating a matching worm wheel and then to output the base tangent data to allow the gear to be checked. 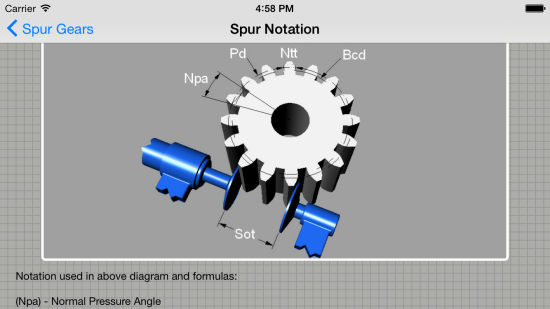 Gear Lab Pro is an extended version of the Gear Lab app which will add the calculators and information required for setting up a non-differential hobbing machine to cut both Helical and Spur gears. Those calculators can then be used to workout the likes of the hob setting angle, index change gears and feed change gears required for the hobbing machine.